You can search for places via the overview on the left side or via the map here-below. 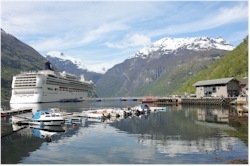 Geiranger and the Geirangerfjord. Geiranger is a small place that is located in an idyllic setting surrounded by the steep walls of the neighbouring mountains at the end of the Geirangerfjord. 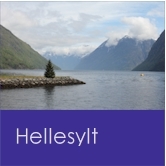 It is one of the most touristic places in Norway and that is mainly due to the beauty of the fjord. 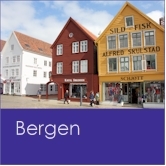 During the summer months, the small village, counting merely a few hundred inhabitants, is flooded with visitors. Most cruises have a stop here; it is more an exception than a rule not to find one of those gigantic cruise ships moored in the port. Even though they can be enormous, they fade into almost nothing compared to the majestic scenery. 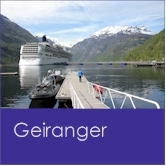 Despite the many tourists, this place is a absolute must-do for each visitor of Norway [more about Geiranger].